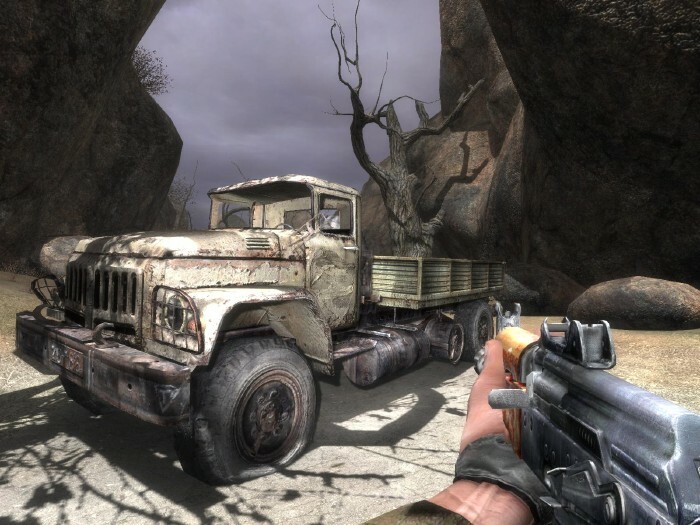 One of Ukrainian companies announced about the game “S.T.A.L.K.E.R.”, an action in Chernobyl scenery. 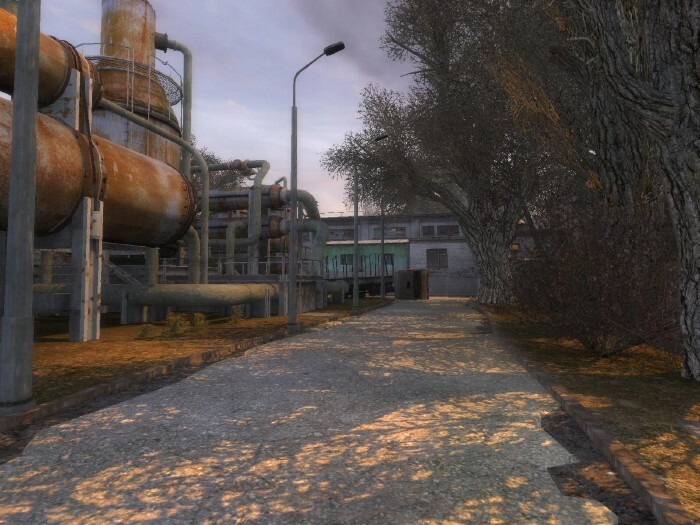 All the game plot is happening inside the Chernobyl, the team of the developer traveled to the site a few times for detailed video and photo capturing of all the future game objects. The release is planned to March, 2007. Just look at the graphics. Actually I’m VERY intersted in this game, It looks great. 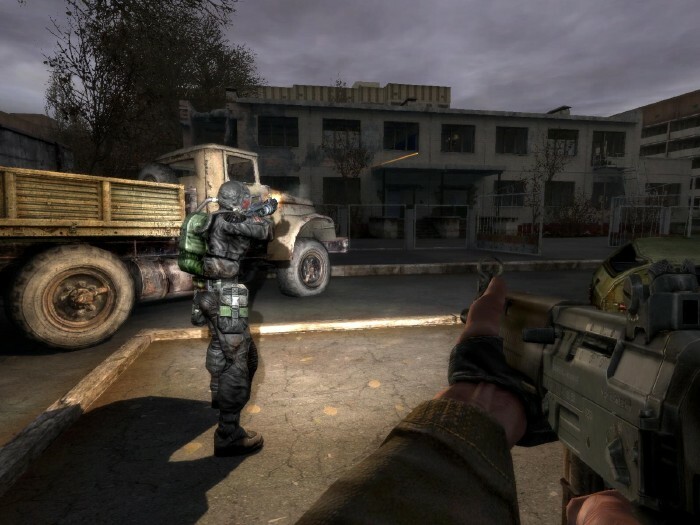 Graphics are awesome but nothing out of ordinary (look for any latest games – F.E.A.R, HL2, etc.). As I said if this game would have been release as planned originally it would be have been a legend, but now it’s lost its momentum. I hope the gameplay will be great, but from the alpha version posted on P2P networks I didn’t see anything special… I was waiting for this game for a long time, but now I just don’t care anymore. Heh. Have you been following the comical epic that is the development of Duke Nukem Forever? They started making it in 1997. Ten years ago! It’s very typical of game developers to underestimate the efforts required to implement something like this. Take a look at the currently released beta of yesterday. It kills Hl2 and fear in the graphics department, it also runs extremely smooth. I’ve been playing the beta for the last two days. And the graphics are far better then FEAR or HL2. It has Full dynamic lighting, to the point that the sun is a lightsource that is rendered in realtime, as the sun moves across the sky the shadows adjust, even the clouds move and cast shadows. The lighting is far ahead of FEAR because it allows for very detailed realtime lights with soft shadows, ambient light, and radiosity. It also includes some features mentioned in the legendary book of Strugatskie brothers – “Roadside picnic”. I’m really looking forward to playing the full version of the game since I find the existing betas cute despite they are for multiplayer gaming only. Looks fun. The rear sights on the Kalishnikov look different from the real thing, or at least they are different from the ones that I have seen. 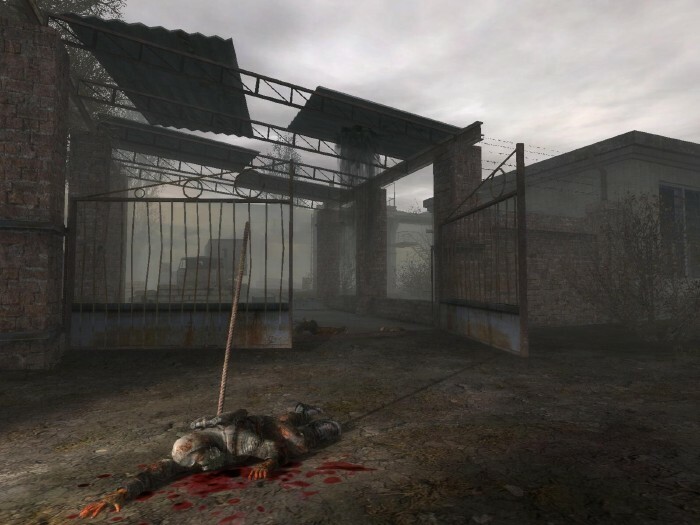 I wonder what the people still living near Chernobyl, and former residents, think about the game. It’s an AKS-74U, if I’m not mistaken, and those look like the correct sights. Did anyone see the pictures of wildlife that seems to be flourishing around Chernobyl? It’s pretty amazing. However, I have head that there are many new species that were created like paper thin fish. On the game’s website they mentioned that the head of the Chernobyl plant actually got to beta test it upon request. Either the Russians have an advanced sense of irony or none at all. Well, he must know the map pretty well even before playing the game, so he ought to do pretty well. And yes, Russians have a profound sense of irony. Hardly anything related to Russia isn’t ironic in one way or another. I’ve played the full game.. and i have to say that is one of the best game i’ve ever played, and the most important is the fact that the russian developers of the game didn’t count the millions of dollars as the american developers do, i think that the engine of the game will be one of the most importants of the forecome years (better than unreal and quake engines). Ukrainian developers, not Russian. Russkies are not so intelligent to develop such a product. And also an alcohol addiction prevents russkies from doing this. Most of the relatively famous Russian games (Space Rangers, King’s Bounty: The Legend, Heroes of Might and Magic V, Silent Storm, Hidden & Dangerous, Brigade E5, Fantasy Wars, etc.) seem to be on the strategic side of things, with a few RPGs mixed in (Evil Islands, Pathologic, Dungeon Cleaners, etc.). I can’t think of any worthwhile actiony games from the region, but perhaps it’s just my own preference for particular genres. It’s a good tendency, since intellectually demanding genres are currently facing a decline in the US after the golden age of the late 90’s (I blame the consoles). Very good idea for game like STalker. Cool, I’ve heard of this before. Wasn’t there another game like this where the Russia was actually up in arms because the game portrayed them as killers bent on world destruction? If anyone can please remember that game let me know. Anyway, this game’s graphics look really good. One of best games ever. I love this series, still play it sometimes. Would love for it to see a comeback. It really got no press in the USA. The graphics rival many games today!